One of the most catchy buzzwords of the startup crowd is an MVP. Can anyone who has a clue about it please stand up? No one? Well, it is not surprising. The truth is that a lot of rising entrepreneurs also have no idea what this acronym stands for. 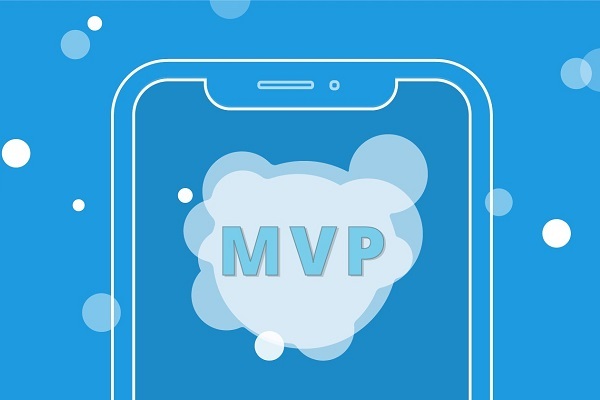 We often mention this term in our articles, so today we are going to shed some light on what is an MVP and how it works. Nowadays, the real meaning behind MVP seems vague as it started to mean different things to different people. Some see it as a gold mine, while traditionalists consider it to be a fluke not worth their time. Contrary to popular beliefs, MVP is neither of that. A Minimum Viable Product is a new product introduced to the market with a set of basic features that are enough to get the attention of the consumers and gather sufficient feedback from early users. As startups have limited time and investments to either grow or die, an MVP helps them reach their customers and change the product to meet their specific needs. MVP is about dealing with problems in the easiest way. It helps entrepreneurs avoid overdoing it and scaring the customer off. For example, if the problem is: I have to get from A to B quickly, then the most basic solution would be a take a board and add wheels. Sure, in the future it may develop into a super comfy car, but do not go for a car straight away, if you do not know how these wheels will work. You do not have to build a car right away. Give your customers a piece of something useful, and then develop further if it is in demand. #1 Quickly get on the market. The initial means of transportation is pretty primitive. Just a board and wheels. Thus, it is the primitivity that helps to introduce it to customers in no time. The cost of production is low, and improvements can always be made later. You start receiving messages that a board with wheels lacks stability, it is difficult to ride on. Adding a quick fix of handling bar would not cost that much, as you continue working on. #3 Gather data and learn from it. Next, some customers say that standing is a bother, they would like to sit. However, developing a seat is going to take more time and money. Using the collected data and researching this topic a bit has shown that a seat is going to attract a new audience of seniors. With the knowledge of the facts and a little bit of ROI calculations, business owners have no trouble deciding what to do next. At the end of the day, the number of the people using your device goes up. You notice people having precautions about safety, as nothing protects them from other riders. You add a helmet and knee/elbow protection and see that your audience has increased rapidly. 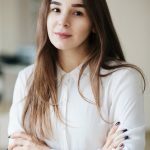 Why is it better to start off with an MVP? MVP gives you more in a less time. Of course, this business approach may not be suitable for all spheres, but the cost of change in digital products is much lower than making it all-in-one. So what does MVP offers? Giving customers the minimum set possible offers you an opportunity to find out what your customers want before spending time and money on producing the finished product. Of course, after developing a car, anyone would choose it over any kind of board+wheel combo. However, there is no need developing a car if people do not like to ride. 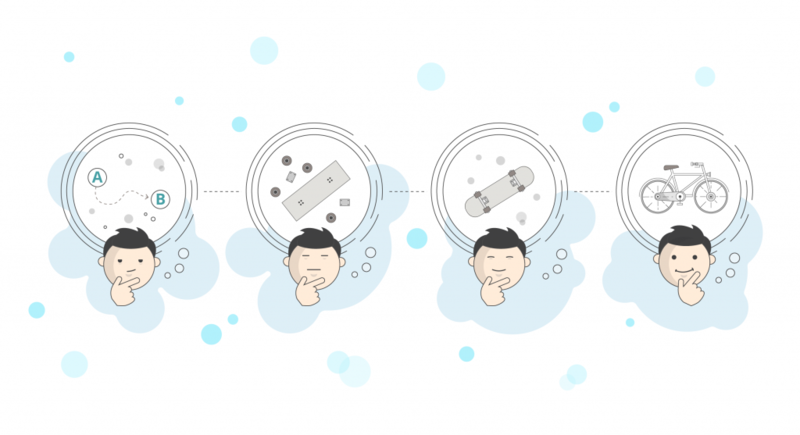 Find out your customers desires before investing into a full-scale product development. Confirm your idea before getting down to making an actual product. Focus on the specific issue you are dealing with and whether your customers need it. Get to know your customers. Show them the first war version of your product and ask their opinion. This approach allows you to build what they want, and not what you think they want. Pay particular attention to your early adopters, who are willing to try out your software at the early stages of development despite its basic functionality or crude design. By being attentive to your early adopters, you get a team of comrades willing to assist in further product development and provide insights you can use in the future marketing campaigns. MVP is not an answer for everything. However, a minimum viable product is the best approach to building a software service. Enter the market, get your share of users and deploy having them in mind. Are Agile and DevOps Friends or Foes?